Explore one of the Britain's most beautiful and popular coastal resorts as you fly over the blue sea and many spectacular sights in Dorset! Enjoy breath-taking views of the local area - great fun! As one of Britain's most popular coastal resorts, Bournemouth has plenty of exceptional sights to see, such as miles of golden sand and sparkling sea, Sandbanks and Poole Harbour - so why not see them all at once from the air in a thrilling helicopter sightseeing tour? During this exhilarating aerial adventure, you will enjoy a approximately 34 miles scenic flight over the bright blue sea and many other spectacular sights, and will follow the sweeping, dramatic coastline down into Sandbanks and Poole Harbour. Whether you are looking for the perfect way to celebrate, treat a special someone, or just push your nerves to the limit with a new and exciting experience, this helicopter tour is the ultimate way to appreciate the splendour of Dorset. You will be able to enjoy breath-taking views of the local area; discovering Dorset's natural beauty on foot is one thing, but seeing it from this exceptional vantage point is extra special!You will check-in with the ground crew and receive a thorough safety briefing once you arrive at Bournemouth Airport, before boarding your helicopter! 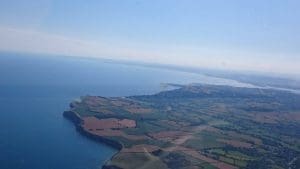 After your ascent, you will fly over the 34 mile circuit, admiring spectacular views of the Dorset coastline as you fly low level. With the bright blue sea beneath you, you will follow the dramatic coastline past the Boscome and Bournemouth and down into Sandbanks and Poole Harbour. A helicopter tour of Dorset is simply the best way to see such sights of natural beauty, so don’t forget to bring your camera as there will be plenty of chances to take photos from the air. The Bournemouth Helicopter Sightseeing Tours is available one Saturday or Sunday most months throughout the year - subject to availability. The provider often shuts for December & January so please bear this in mind. These are extremely popular helicopter experiences which do tend to book extremely quickly, especially during peak season. We recommend booking at least a month in advance. *Dates are updated regularly but availability is subject to change - if you'd like to check a date prior to redemption, please contact our customer service team on 0845 862 9911. Maximum Weight: 18 stone*, 14 stone for the front seat which will be an additional charge. There are no health or age restrictions for the Bournemouth Helicopter Sightseeing Tours, except children under 18 years must be accompanied by an adult, on site. Responsible children can fly in the helicopter unaccompanied. It is not possible for children to sit on a lap; everyone must have and pay for a seats. There is a step up into the helicopter, and anyone less than able-bodied must have someone available to assist them getting in and out of the helicopter. *Helicopter tour tickets are priced on the weight added to the vehicle, so if participants are 18 stone or over - two seats may need to be purchased. Please enquire if you are unsure about this. If any person requires special care, they must be accompanied on the flight, by a fare paying passenger. The Bournemouth Helicopter Sightseeing Tour is 20 minutes of flying time and is approximately 34 miles. Check-in is normally 20 minutes before the departure time, so please arrive early and give yourself plenty of time as there is a safety briefing and introduction before you board the helicopter. Participants: The Bournemouth Helicopter Sightseeing Tour is for 1 participant. Spectators are welcome to watch your Bournemouth Helicopter Sightseeing Tour, but will not be allowed airside. At most locations there is a cafe and viewing area. There are five passenger seats available on each flight. You should wear sensible and comfortable clothes for your Bournemouth Helicopter Sightseeing Tour. There is heating inside the helicopter and so outer clothing should be kept to a minimum. There is very limited space inside the helicopter so please avoid taking any handheld luggage or handbags. Ear defenders / headsets are provided. The Bournemouth Helicopter Sightseeing Tours are weather dependent. If the flights are cancelled due to bad weather, the centre will contact you to reschedule your flight for another day. Please call the centre after 8 am on the day of your flight for updated flight information. The whole experience was wonderful with your warm and friendly ground staff, to the Pilot. My family bought me the helicopter experience for a Christmas present. It was the last thing I expected. I didnât know what to expect. But absolutely loved the whole experience. I am now looking forward to my next experience with your company. Very efficient welcome and briefing from ground-staff. Flight exactly on time. Pilot very entertaining and informative. And the icing on the cake - superb weather. Couldn't have been better! Lovely welcome, easy environment. Great flight. Sat on the left of the aircraft so got a lot of sea but the weather was awesome and views fantastic. I was given the present of a helicopter flight for my Xmas present I have waited all year to hopefully get good weather and I did get the perfect sunny day. My partner paid extra so I could be copilot for the flight IT WAS EPIC !! Steve our pilot was very informative the ground crew were great n I had a thoroughly enjoyable day thank. A wonderful and very interesting experience. Ground crew and pilot very efficient and helpful, giving a lot of information. Looking forward to the next time! Absolutely fantastic experience! The ground crew were extremely friendly and informative when talking through safety measures and how to get in and out of the helicopter. The flight was smooth, got to see some amazing views. A special thanks to our pilot, Steve, who pointed out the sights on our journey. Would definitely recommend! A very enjoyable day that I will never forget. Had a Helicopter ride on Sunday although we had a slight delay due to weather the staff were excellent in informing us as to when we could fly. When aboard the pilot was very informative on the area we flew over. Great experience! Would recommend to my friends as a great flight over Dorset. Really great fun would definitely recommend it to others. All staff were really friendly and a special thanks to our pilot Andy. Fantastic experience. Beautiful scenery. Couldn't have asked for more (except a longer flight!!). I can only say.It was a WONDERFUL EXPERIENCE DID NOT WANT TRIP TO END.GLAD YOU TOOK OUR PHOTO.HAPPY MEMORIES. I bought this experience for my husband as a Christmas present. He LOVED it! Very organised and efficient outfit. The views simply stunning of Poole and surrounding area. Excellent value and would thoroughly recommend to others. It is a wonderful experience. However due to the weather the activity was postponed, then I would recommend having another plan in case you buy this tour for a birthday celebration. Very well organised. Would recommend. We had a Great day, very professional, how did you make the weather perfect as well!?.. will be booking again! Helicopter trip over Portsmouth on 20/09/2015 was fantastic. Ten Minute trip was enough to see the sights. Weather was perfect and the whole operation from check in to return landing very efficient. Excellent flight and friendly pilot and ground crew. The paperwork needs to be sorted as I got two different phone numbers and postcodes. I rang the number after 7.30 to hear that everything was running to time only to turn up and find that it was put back an hour. It was no problem as I just went to the beach! As so often with such experiences it depends on the provider, and in the case of my wife and I as a treat from our children we were very lucky. The provider proved excellent, kindly helpful and informative making the whole experience so good it is now our ultimate way to travel. We even managed a picture of my wife's childhood home (where her Mother still lives) from the air. A great day out. Amazing experience,very professionally run,friendly staff and great value for money. Absolutely great experience especially since it was my first ever trip in a helicopter. Great pilot as well!! I had a trial lesson in the four seater helicopter. It was a fantastic experience which I thoroughly enjoyed & will never forget. All was perfect from excellent tuition to perfect weather. Thoroughly recommended. Wonderful trip, gave us a really good sense of the geography and diversity of the island. Would have been good to have more commentary but as the was the pilot that is understandable! This was an excellent trip. On the day the weather was perfect which made the trip great for photography. It is well worth paying the ground handler the small supplement to guarantee the front seat by the pilot where you get the best visibility. As you know, my internet booking went wrong and took much fixing but once it was fixed I was delighted with the helicopter flight. The weather was perfect and the pilot very friendly. I paid a small supplement to guarantee the front seat which was money well spent as the view was terrific. Overall an excellent time was had. It was everything I imagined. The meet and greet through to the pilot were great. The only thing missing was the sunshine! Thoroughly enjoyable. Brilliant experience, my Dad really enjoyed it, thanks! Really pleased with flight, always wanted to fly in a helicopter and flight with heliadventures didn't disappoint. I will definitely be recommending your company. brilliant experience defo will do it again.... It was a really hot day so would have been good to have been able to purchase a drink while waiting around . Everyone at the site were lovely,would definately recommend!The helicopter was all is great working order apart from the window/door started flapping when in the air, bit worrying but the pilot explained it was fine-nothing to worry about. The pilot didnt explain what we were seeing which i thought was a shame-but luckily we knew what we were looking t as we live where we did our tour. Great day, perfect weather, staff very friendly and informative. site great. Pilot friendly. Would recommend doing this tour. This was a brilliant experience - the staff were very friendly and welcoming.Have wanted to fly in a helicopter for years and it is something I will always remember. Views were stunning. Q1. Hi Gemma! So to kick things off, how was HeliAdventures founded? 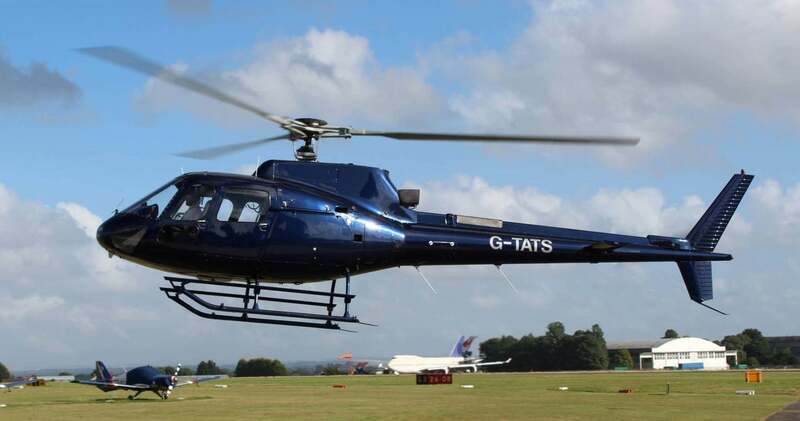 HeliAdventures provides helicopter tours from a plethora of locations and is part of a long established Helicopter Company based at Cotswold Airport in Gloucestershire. Further services from this multifaceted company include helicopter charters and professional helicopter training. HeliAdventures was started out of the passion of two pilots who wanted to be able to share their passion and make available to others the experience of helicopter flights. The cost of helicopters make it prohibitively expensive to many, but by setting up HeliAdventures and selling sightseeing tours by the seat we hoped to open up the opportunity to many others to enjoy. Q2. How do you think HeliAdventures stands out from other helicopter companies? Not only do we operate all our own events, we always use our own pilots, our own helicopters and operate under our own Air Operators Certificate (AOC), allowing us to provide seamless customer service throughout the booking process and the experience itself. Unlike a majority of UK sightseeing flight operators, we use immaculately presented Airbus Helicopters AS350 aircraft which provides great visibility for all passengers in a much more modern and spacious cabin compared with the Jet Ranger used by most others. Our pilots are very familiar with the specific areas within which our range of helicopter flights and tours are conducted, and they have worked to put together routes that will give you the very best in excitement and spectacle. Q3. What is your favourite part of running HeliAdventures? Seeing the joy on customers faces after their flight when, in many cases, they have just realised a life long dream. Q4. Tell us more about your story and HeliAdventures’ success..
HeliAdventures has grown over the years to become one of the largest UK pleasure flight operators to cover multiple locations throughout the South West and Midlands. Keep an eye out …more of the UK to be added soon! 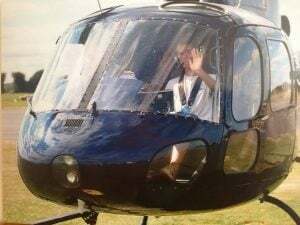 As well as this our training division has been able to satisfy the dreams of many people of becoming a pilot whose initial introduction to helicopters was a pleasure flight with HeliAdventures. We flew 450 sightseeing tour in 2015, which equates to more than 2,000 passengers and of those 2,000 passengers over 90% rate us 4-5 out of 5 and say they would recommend us to others. We are aiming for 100% in 2016! Q5. If you could tell every customer one thing, what would you share with them? “ YOLO ” …. so make the most of it. Come and have fun with us! Q6. Is there anything else you’d like to add/ mention? If there is anything you want to know about helicopters do ask – we love talking helicopters! Huge thanks to Gemma for chatting with us, we hope you’ve enjoyed a little insight into Heli and it’s team! Helicopter rides are great ways to see the ground beneath you from great heights, and there are plenty of locations across the country so everyone can have the perfect experience. Enjoy! Can I book this helicopter flight at short notice? The Bournemouth Helicopter Sightseeing Tour is a very popular experience, and often sells out up to a month in advance. We would therefore recommend giving at least a month's notice when enquiring about a booking. Looking for a flight for my husband as a surprise 60th birthday present. Hello You can purchase a gift pack from us that can been sent to your husband for his birthday. He will then have 10 months to redeem that voucher and book a flight! What times do the flights start for the Bournemouth Helicopter Sightseeing Tour? 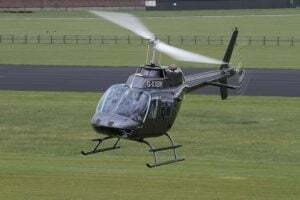 The flight times generally start in the morning from 10am onwards for the Bournemouth Helicopter Sightseeing Tour. How many days a month does the Bournemouth Helicopter Sightseeing Tour run? The Bournemouth Helicopter Sightseeing Tour run once a month either on a Saturday or Sunday. There is the odd occasion where you may find two dates in a month that it is running. Is the airport wheelchair friendly? Unfortunately, there are no indoor areas which are accessible by wheelchair. However, spectators are welcome to come along and watch you take off from the runway. How many seats are there for passengers on the flight? The helicopter can take 5 participants at one time. Is there a minimum age limit on the Bournemouth Helicopter Sightseeing Tour? There isn't a strict age limit on the Bournemouth Helicopter Sightseeing Tour. Children cannot sit on someone's lap, responsible children can fly unaccompanied by an adult.